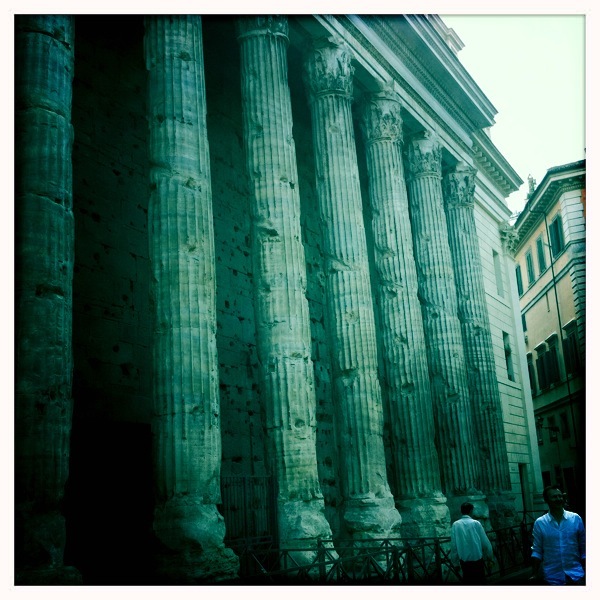 Piazza di Pietra is a narrow piazza in Rome that houses the Temple of Hadrian. Piazza di Pietra translates to Plaza of Stone, called such because it was built from the stones of the temple that overlooks it. 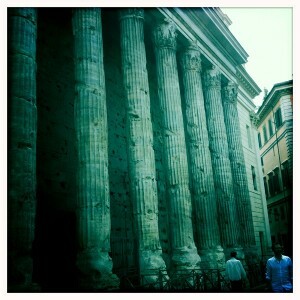 Today only one of the wall survives along with 11 of the 15 Corinthian columns.